Russia’s Foreign Minister Sergey Lavrov has not been to Norway since 2014. Then, he attended the 70th anniversary of the Red Army’s liberation of Kirkenes, the town near the border between the two countries in the north. 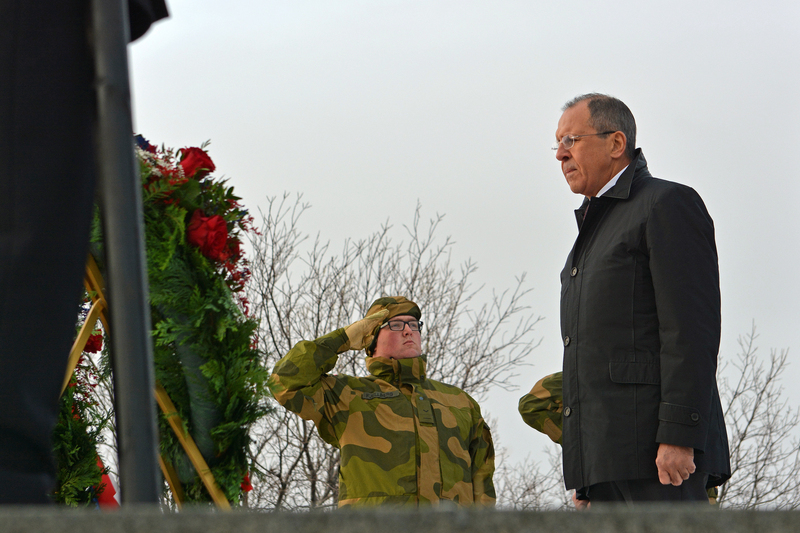 Five years on, Lavrov could again be heading to Kirkenes, this time for ceremony on October 25th, 2019 marking the 75th anniversary of the liberation. As the political disagreements between Norway and Russia are tenser than ever since the end of the Cold War, the two countries’ foreign ministers find common agreeable talking points in the north. Here, Lavrov and Eriksen Søreide can focus on peaceful border-cooperation, common understanding of management of Barents Sea fish stocks, environmental protection, cross-border people-to-people contacts and even joint uniformed naval cooperation at sea in the form of coast guard search- and rescue cooperation. The last is one of the very few areas where officers from NATO and Russia actually are exercising together, like in May this year out in the Barents Sea. At Thursday’s meeting in Milan, Italy, Ine Eriksen Søreide formally invited Sergey Lavrov to next year’s celebration in Kirkenes. Both ministers are participating at the OSCE Ministerial Council. “I had a god meeting with Foreign Minister Lavrov,” Eriksen Søreide says. “We talked about our bilateral relations and discussed questions related to foreign- and security policy like the tense situation in the Sea of Azov and the INF Treaty,” she says. Press-spokesperson Guri Solberg with the Norwegian foreign ministry says to the Barents Observer that Sergey Lavrov could not confirm a direct “yes” to the invitation to come to Kirkenes next autumn. In May next year, Lavrov and Eriksen Søreide will have another meeting up north when they meet for the Arctic Council Ministerial in Rovaniemi, Finland. Ine Eriksen Søreide has not been to Russia since she took over office after Børge Brende who resigned in September 2017. Brende visited northern Russia three times last year.